In lieu of a moving related post (since we have in fact been in the new home for a solid week now), I thought I'd just jump right back into the swing of things around these parts. Nothing like a bit of normalcy to ease the stress of change. I've heard a lot about the Yes to brand over the years but never really bothered to really dive into the brand. My first exposure to Yes to was their makeup wipes and I tend to be pretty picky about my favorites (as I am with most things). 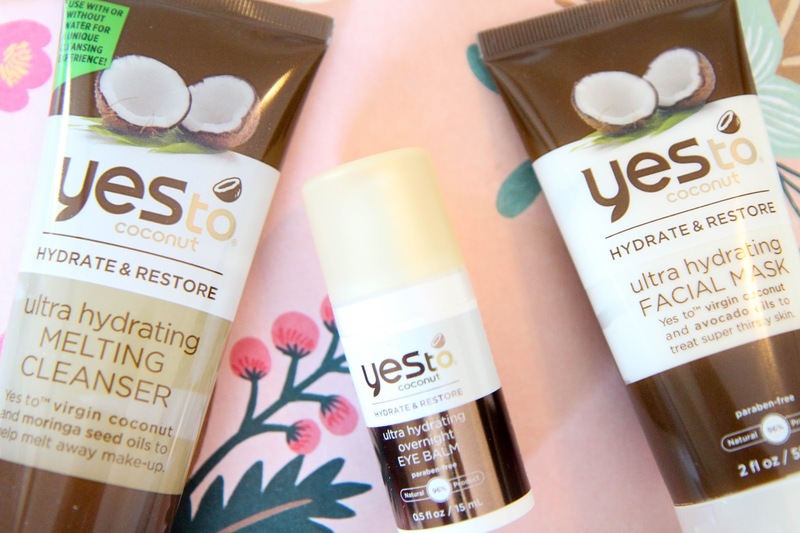 Yet when I heard about the Yes to Coconut range my beauty ears perked up and I had to see what all the fuss is about. It's good. The Ultra Hydrating Melting Cleanser reminds me of a less thick version of the Clinique Take the Day Off Cleansing Balm, but in a much better package. I always get a little grossed out dipping my fingers into the giant Clinique pot of product regardless of whether or not I literally just washed my hands. Having a squeeze tube makes it just that much easier that digging around in product. It works just like the Clinique offering, a paste like gel goes onto dry skin to become an oil that sloughs away makeup and gunk. Add some water and it becomes a nice lather to get even deeper into the pores. The best thing? It's way cheaper than the Clinique one. I'm sold. Their Ultra Hydrating Facial Mask is also a good'un for adding moisture and hydration back to dry skin. It makes skin feel plump and refreshed and with my skin getting drier and drier by the day, I can definitely use that. I do love my leave-on masks, but this 10-minute one is a super quick way to kick skin into moisture gear. Now if you know anything about me, I'm not a fan of eye creams. I can never tell if they work and they just feel like an extra unnecessary step in an already too complicated skincare routine. Sadly I feel the same way about the Yes to Coconuts Ultra Hydrating Overnight Eye Balm. 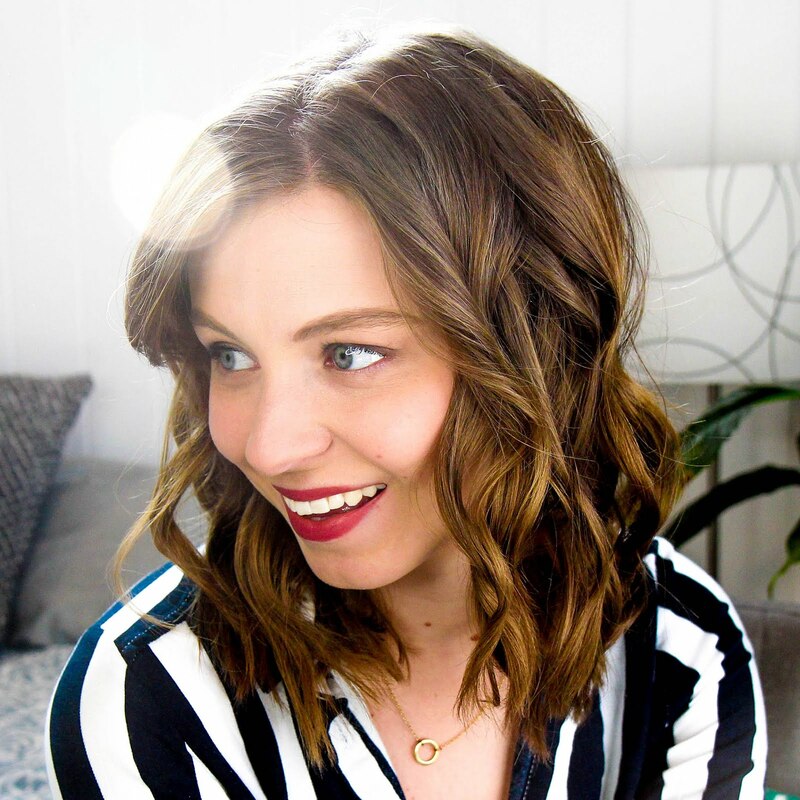 It's a great consistency and sinks into the skin quickly, but still doesn't easy my dark circles or make any obvious change to the under eye regions. This skeptic will remain skeptical. Overall I'm pretty chuffed with the Yes to Coconuts line and of course am obsessed with the scent. The price is a huge win and the quality is definitely not lacking. Thumbs up from this lazy skincare girl. Have you tried any Yes to products before?